After our week on safari and all that driving, it was time for the second portion of our trip in CapeTown. We had a group of 6, so we rented a house off of Tripadvisor in Gordon’s Bay, about 40 minutes east of the airport. 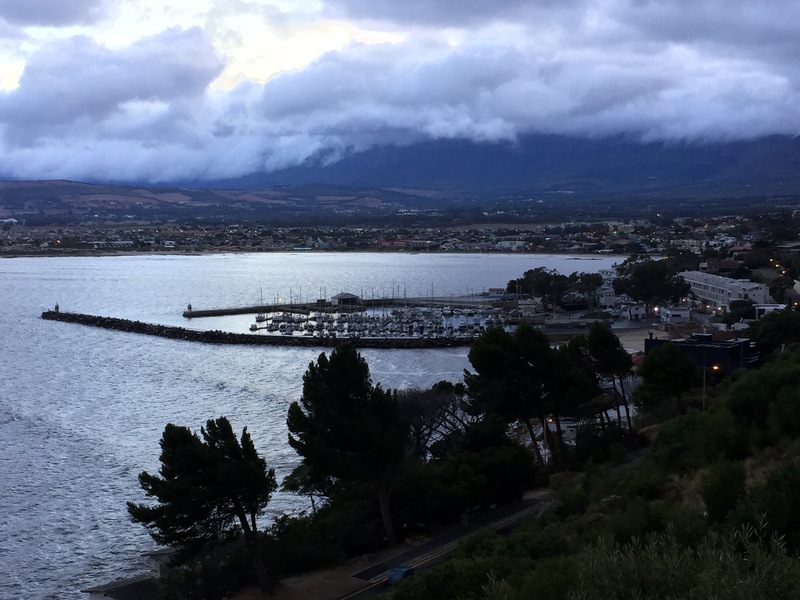 Before the trip, we booked a guided hike up Table Mountain and a great white shark cage dive, but when we arrived, the weather wasn’t looking very promising. 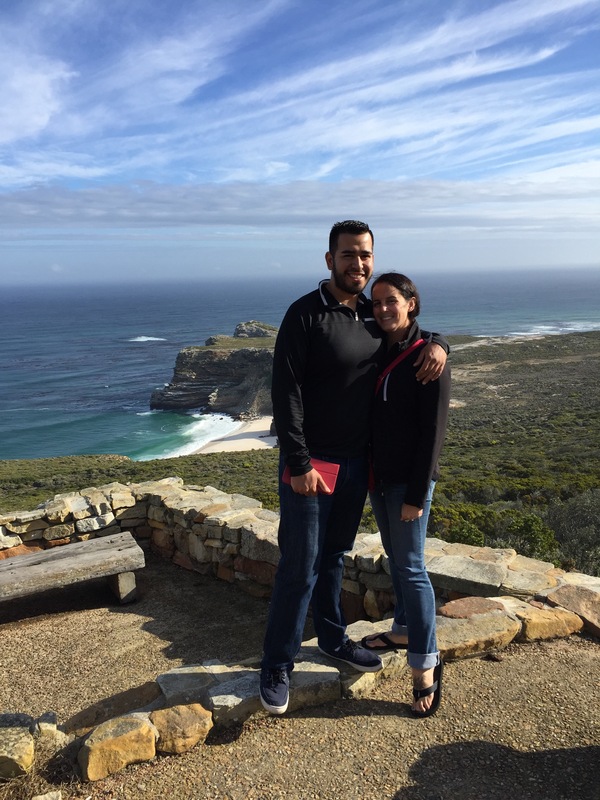 Our first day ended up being the nicest weather-wise, so we drove our rental cars down to the Cape of Good Hope, the most south-western point on the African continent. 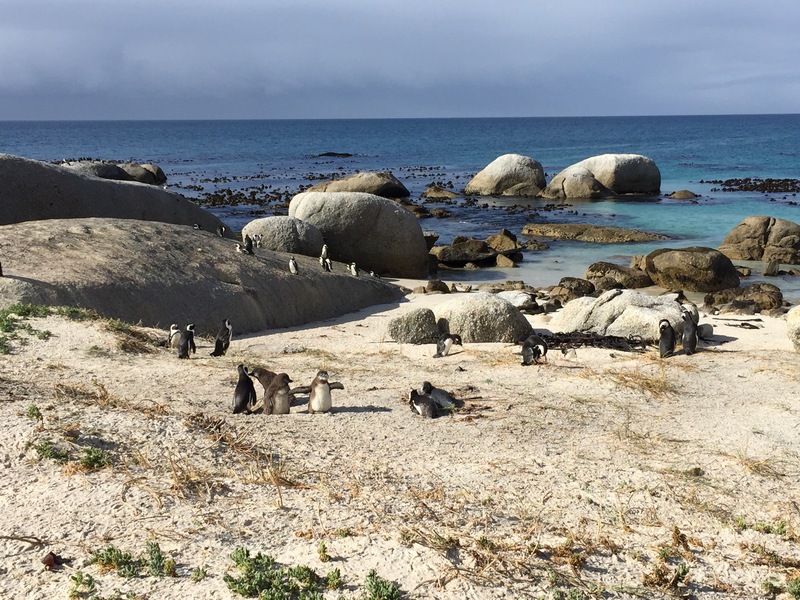 On the way we stopped in St. James Beach to see the Victorian bathing boxes and in Boulders to see the South African penguins. They were so cute!! During the summer months you can book a swim with them through the visitor’s center. We continued down to the Cape of Good Hope Nature Preserve where a park conservation fee needs to be paid upon entry. The views were absolutely stunning, and a short hike up to the lighthouse revealed amazing cliffs on the far side of Cape Point. Our second day we got up extra early to drive into the city. We met up with Hendre, our awesome guide from HikeTableMountain.com. We wanted the full experience of hiking up, not just riding the gondola, and boy did we get it. 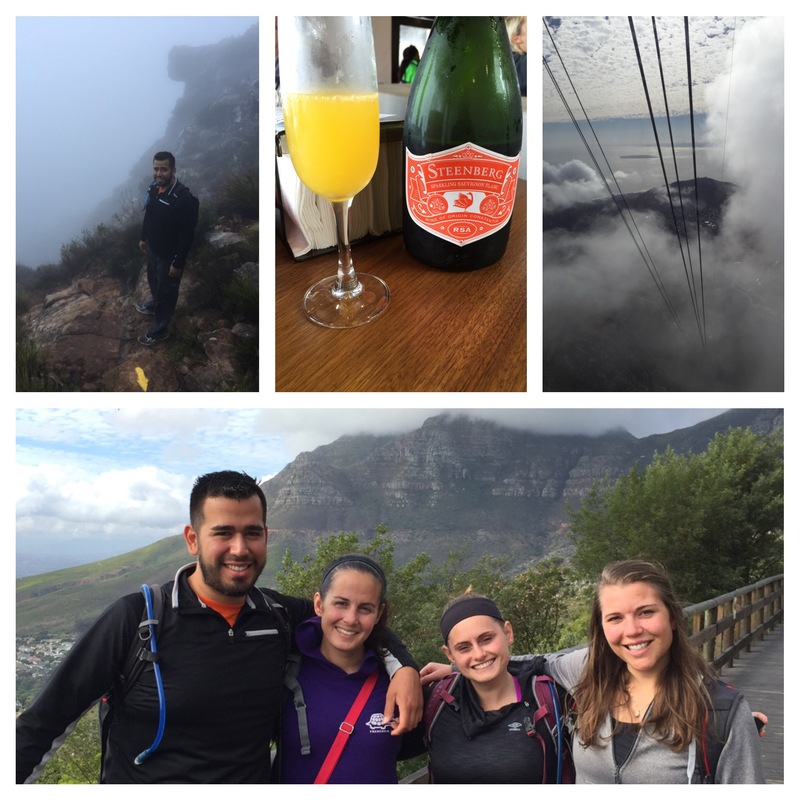 The hike turned out to be more of a rock climb, which took us up the sheer cliffs of Table Mountain in the dense fog of the early morning. Our only disappointment was that the cloud cover or “table” never completely burned off, so we didn’t get to enjoy the sights on the way up. Hendre said we should be glad we couldn’t see how high we were; maybe she was right! After enjoying a mimosa toast at the top (where temperatures were freezing and the fog wasn’t any better!) 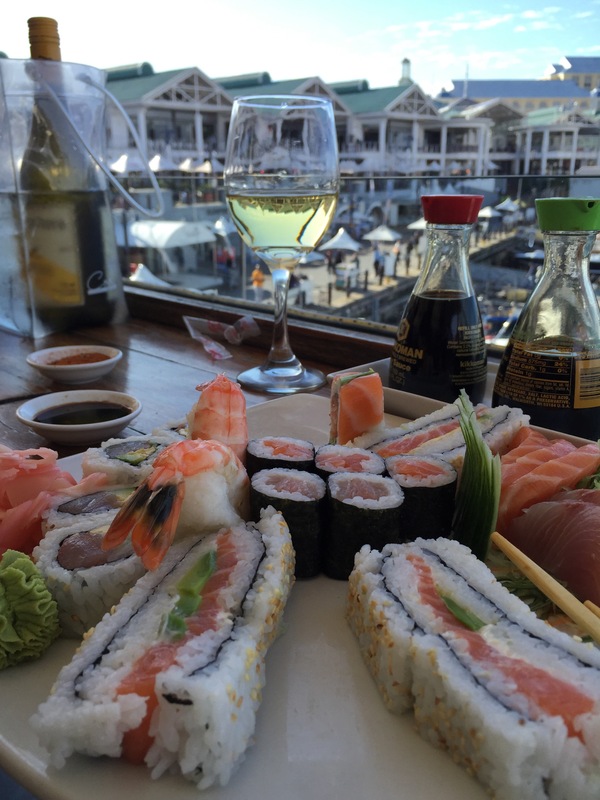 we took the gondola ride down and spent the rest of the day exploring the V&A Waterfront. Our next day was one of my favorites because I LOVE WINE!! That will definitely be a recurring theme in my posts and this one is no different. 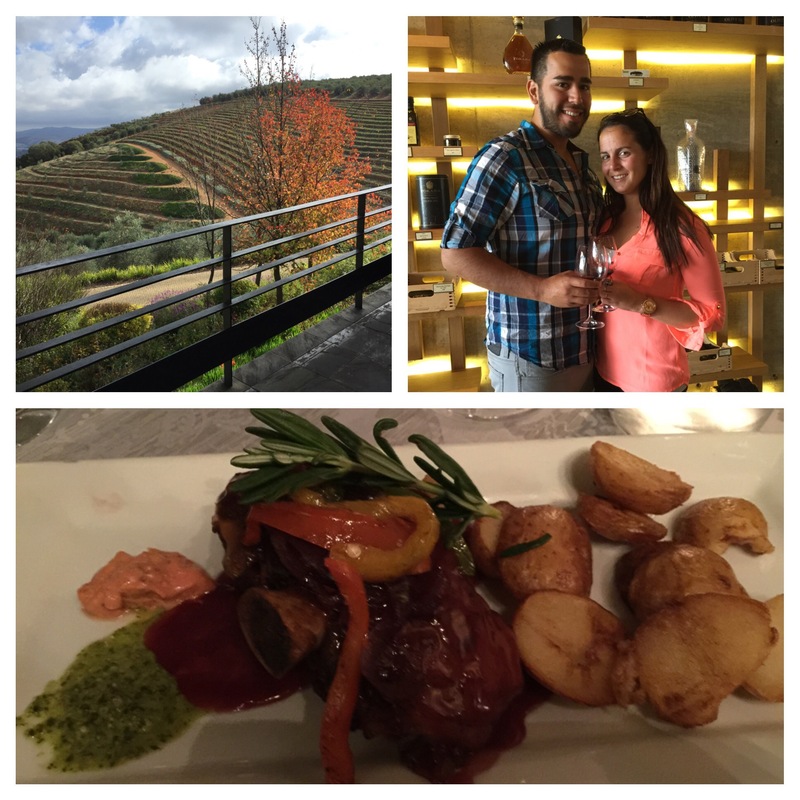 My friend Allison booked us a tour of 3 wineries in Stellenbosch, South Africa’s wine country. The first one, my personal favorite, was called Tokara, and specialized in all the most up to date, state of the art equipment. They also make a variety of olive oils, which I bought to take home, along with my favorite wine, a Pinot Noir. We then went to a more old school winery where they had almost 20 wines to taste! Needless to say we were feeling a bit tipsy after that one. After the wine tour, we asked our guide for a dinner suggestion in town. He recommended Oppie Dorp, and it was by far the best meal of the entire trip. I had lamb, which I never order, which was so moist and delicious, I can’t even begin to describe it! We even saved room for dessert. After our trip to wine country, we found out our shark dive for the second to last day would be cancelled. Bummer!! We used our free day to head into town again, get our Table Mountain outline tattoos, and visit the Apartheid Museum- definitely worth a stop if you are in the area. On our last day, Julio, Allison, Stacy and I got up at 4am to drive east. Our destination? 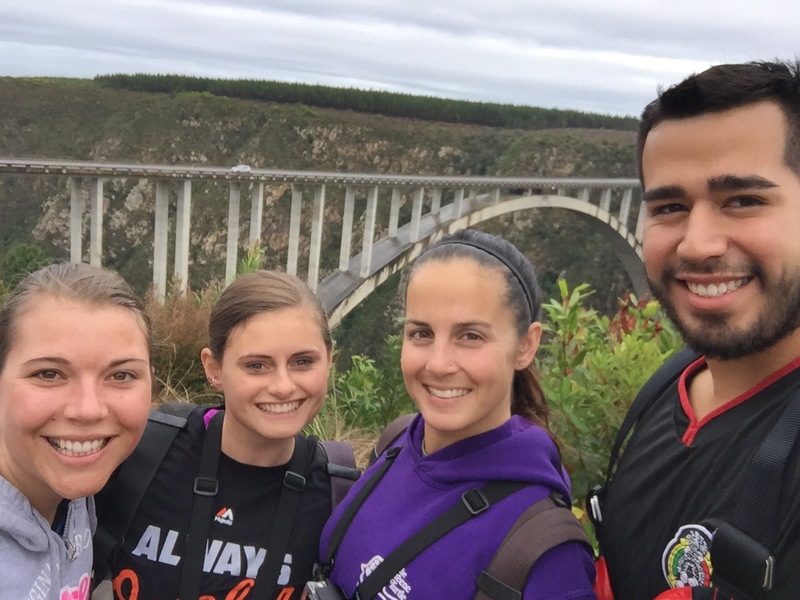 The world’s tallest bungee bridge jump at 709feet off Bloukrans Bridge. 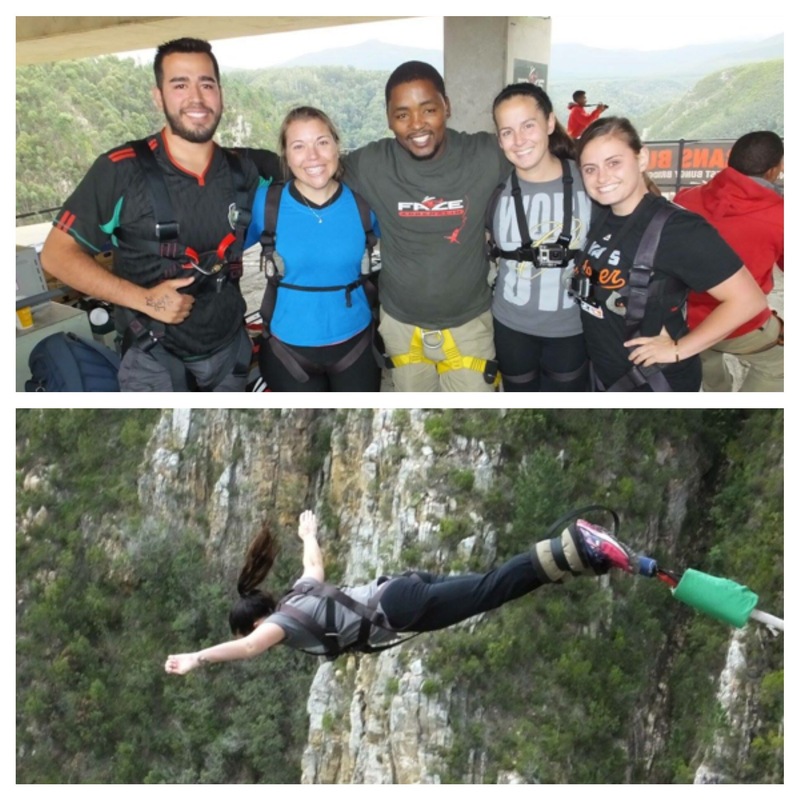 The ride was over 5 hours, but when are you going to get a chance to do the world’s tallest bungee again?! The price was reasonable, about $75 per person, and as we walked out beneath the bridge with our guide, loud music was playing to pump everyone up. As if we needed anything more to get our adrenaline going!! I’m proud to say we all jumped, even Julio who isn’t a fan of heights. It was the scariest thing I’ve ever done, but I’d do it again! 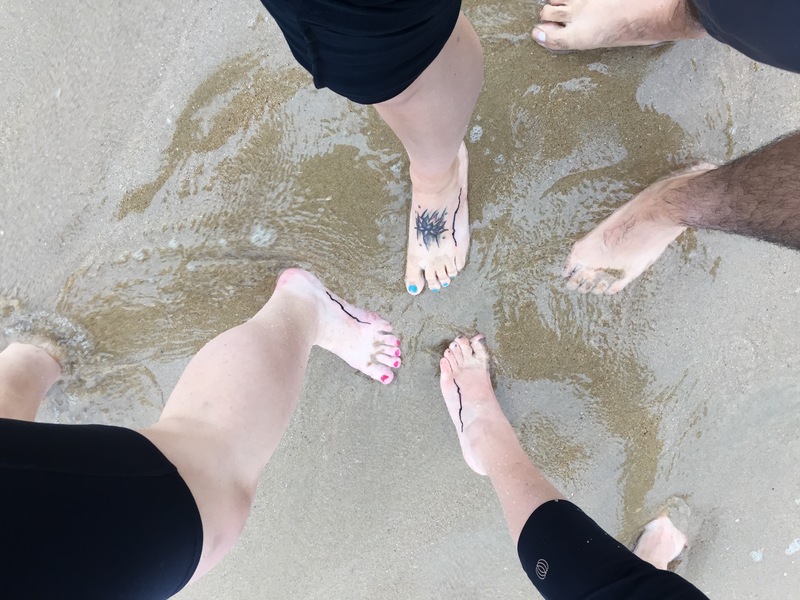 On our 5.5 hour drive back we made sure to stop and dip our feet in the Indian Ocean, just to say we did it. South Africa was definitely a once in a lifetime trip. 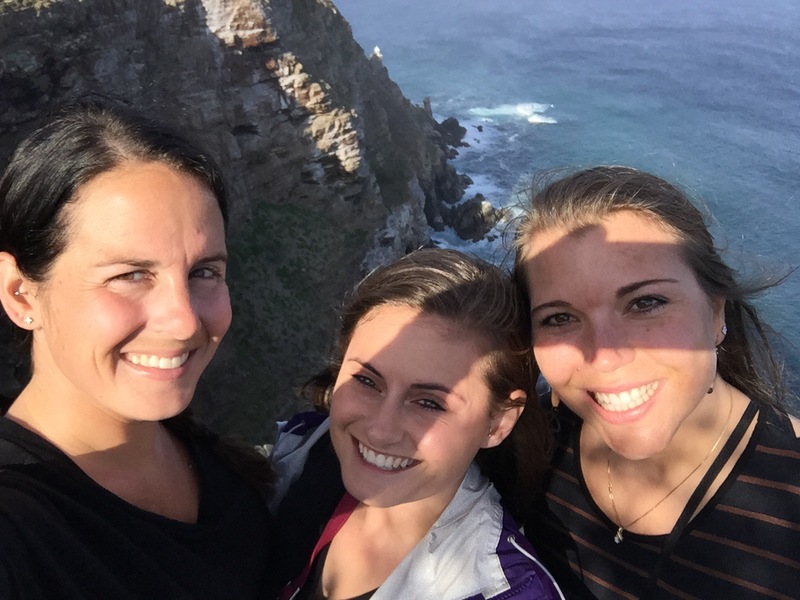 Checking a Safari off my bucket list and climbing Table Mountain? I have a funny feeling Africa hasn’t seen the last of us. Next Post Planning, planning, planning!